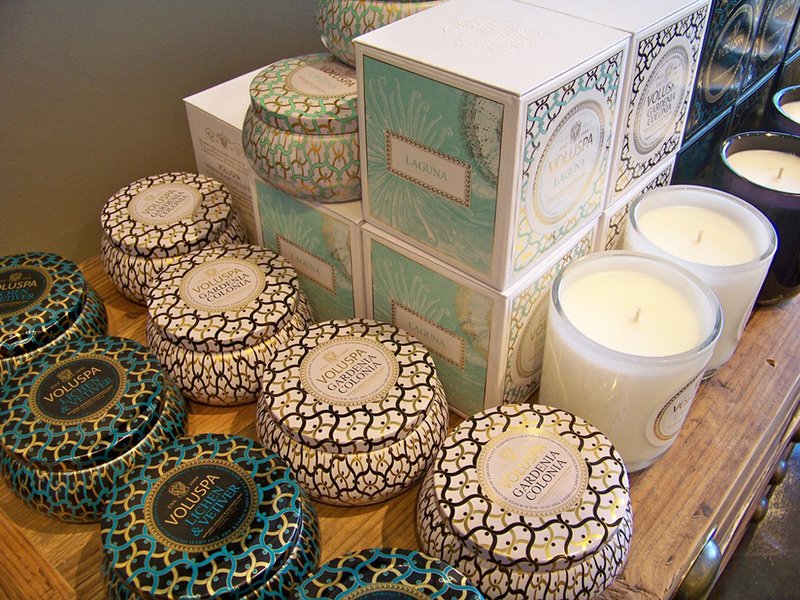 They’re the most luxurious of luxury candles. You can get them at high-end department stores and Anthropologie, for crying out loud. They’re Voluspa Candles and they have one of the fanciest reputations in the fancy candle world. 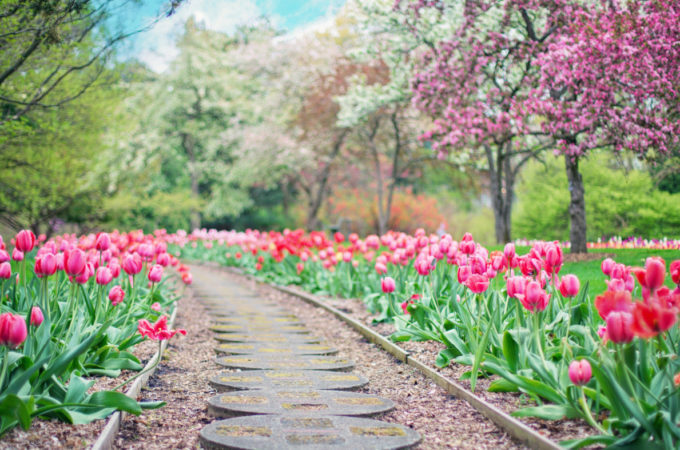 What you might not know is that, Voluspa has a remarkably humble pedigree. The brand originated in the kitchen of husband-and-wife duo Troy and Traci Arnsten in their California kitchen in 1998. After a year of experimenting (and one destroyed microwave and stove!) the couple was ready to begin pouring candles for their first client, Saks Fifth Avenue. 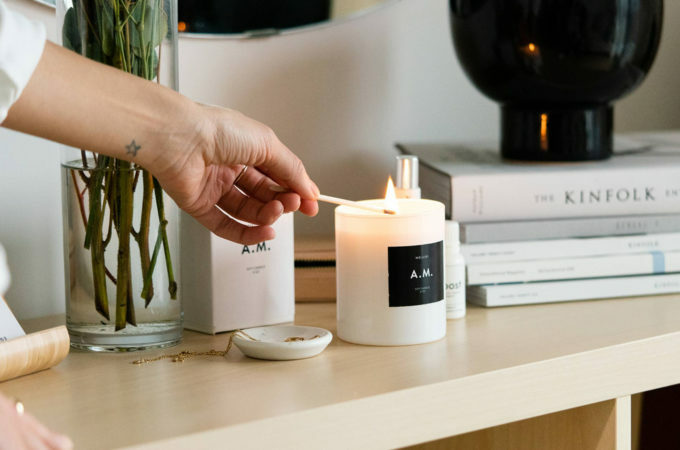 While many candles today are machine-manufactured, Voluspa differentiated itself by providing hand-poured candles, a service it provides to this day. 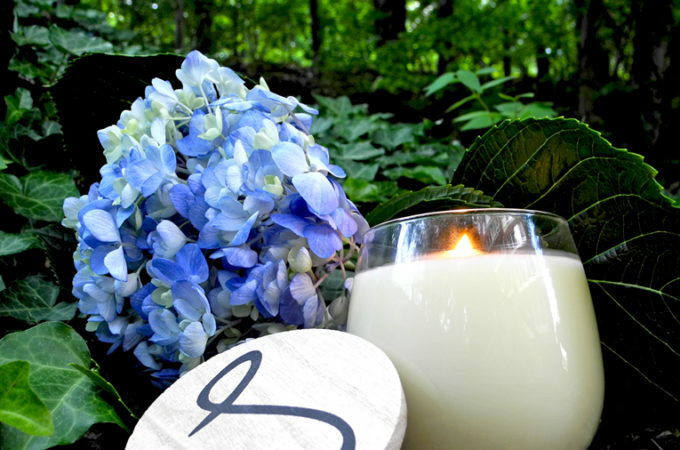 Unlike many more recent brands’ trendy paraffin and soy wax candles, Voluspa candles use Troy’s special blend of coconut wax that is designed to be low-smoke and saturated with Voluspa’s signature fragrances. As you may have guessed, packaging has always been important to the Voluspa brand. 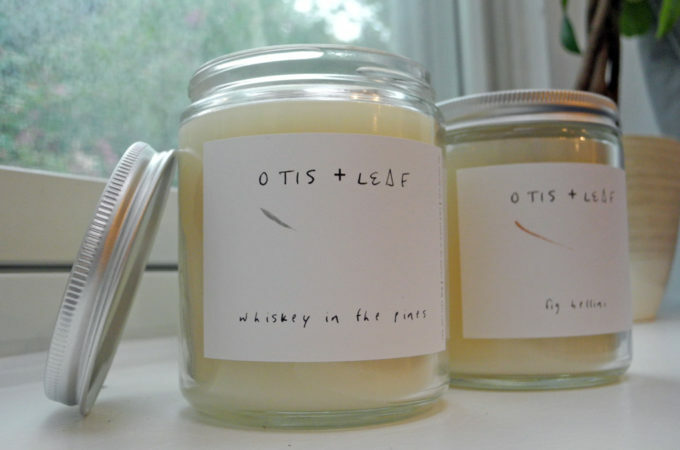 The Arnstens were determined to make candles that look as good as they smell, even if it took time and effort. For their first ever shipment to Saks Fifth Avenue, Traci hand-sewed 500 pouches over three days to complete the order. As Voluspa grew, the visuals became mass-produced but no less beautiful. 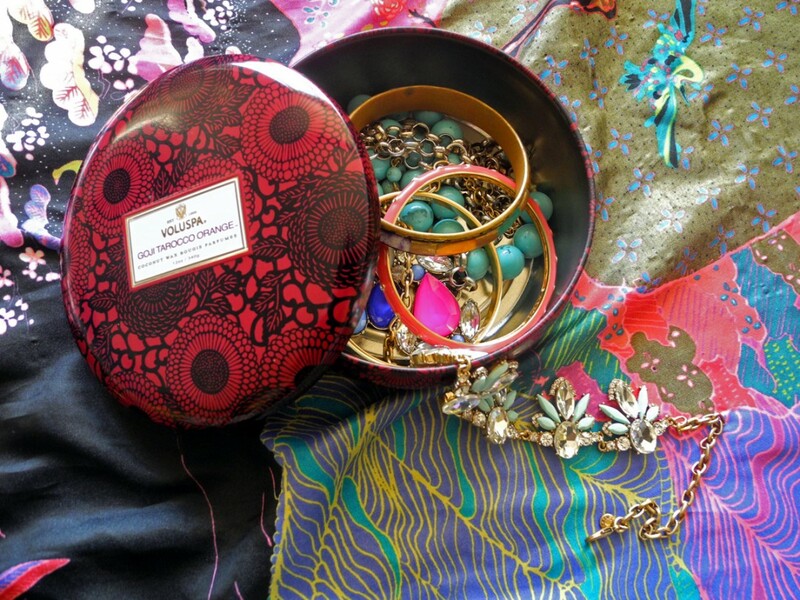 I love re-using Voluspa candles as jewelry boxes, as pictured! 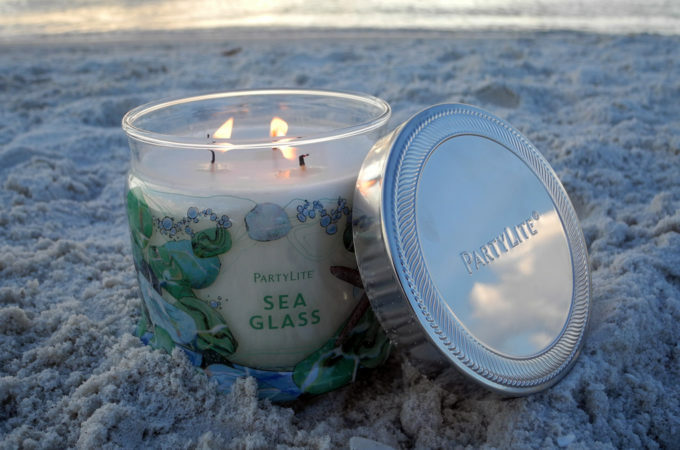 While Troy works on the wax formula, Traci develops the candle scents. Today there are more than 200 unique Voluspa scents, drawing from more than 1,000 botanical and aromatic ingredients. 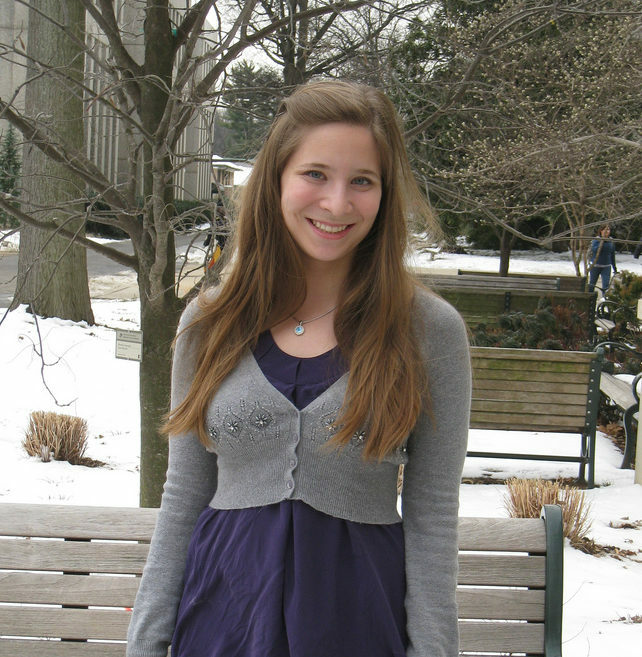 “What’s happening in fashion inspires me. For example, there were florals all over the runway for spring, so I decided on a floral base for all the fragrances…And when I see fabric patterns, I think about whether I could use [them] for packaging,” Traci told the Orange County Register. 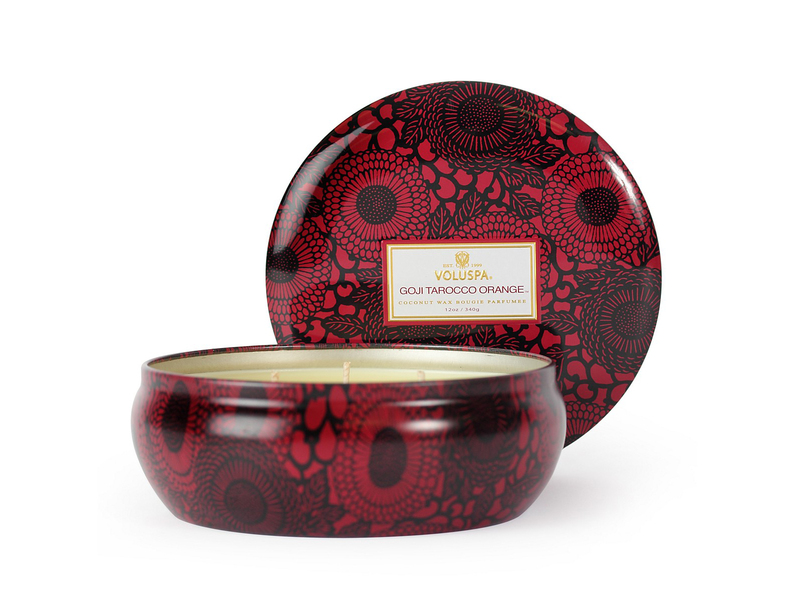 One of my favorite Voluspa candle fragrances is Goji Tarocco Orange. I am not a big fan of “edible” scents, but this sophisticated blend is more floral than fruity. My 12 oz. 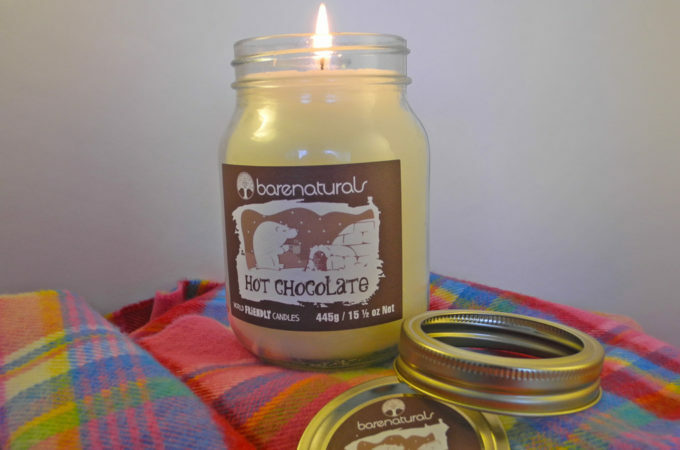 tin burned for about 100 hours, melting away the chill of one long winter with its complex, exotic scent. It is cleaner burning than even my Yankee candles, with little to no ash mixing in with the candle wax. When I finished my candle, I did my usual wax removal technique so I could reuse the tin, but the coconut wax was too goopy and greasy to save, so I ended up throwing it away. The perk was that it was very easy to cleanly remove the wicks and wax. 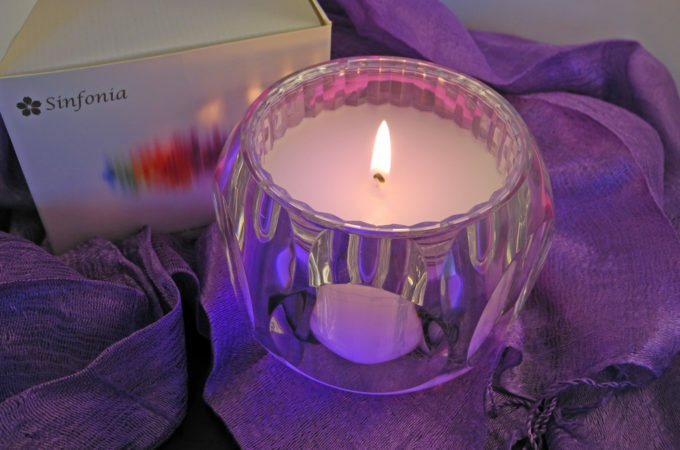 Have you tried a Voluspa candle? What is your favorite scent or packaging? Their packaging is gorgeous! Do they make the tins themselves? I just ordered one based on your article. Can’t wait to receive it! Love them too and thanks for the tips on how to remove the wax! How do you remove the wick? 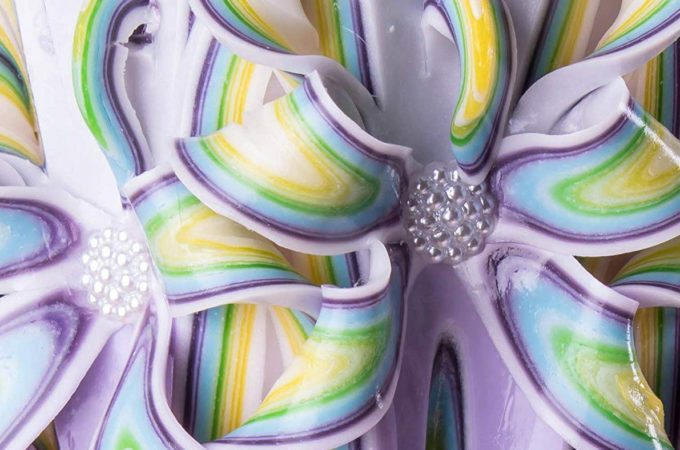 Usually, the hot water that removes the wax loosens the glue attaching the wick as well. If not, just soak some hot water in the votive until it is loose enough for the wick to pop off.